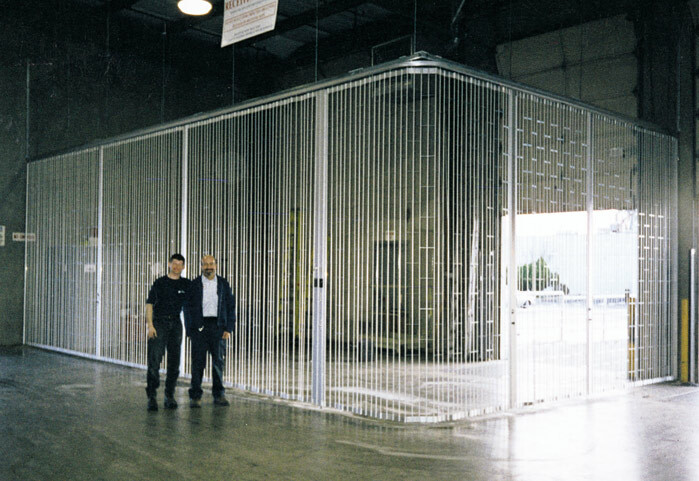 It is a custom-made Protection System consisting of a folding grille, fixed to a steel support suspended from the building structure plus a highly-resistant net providing additional security from the top of the grille to the ceiling. Very versatile, it is, like all of our products, custom-made, to answer your specific needs. With no floor tracks and space-efficient stacking, it will disappear when you do not need it.